Recorded in front of a hometown Baltimore, Md., crowd, Pastor Jason Nelson delivers a live recording that will leave you feeling like you've been to church -- and not in a fidgety, my-tie-is-too-tight way. This album is all about encouragement, with oversized vocals backed by a talented choir. Don't miss the celebratory "Your Favor," worshipful "Nothing Without You" and the title track. 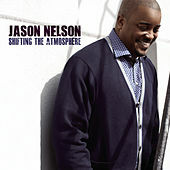 If Nelson's style feels a bit familiar, it may be because he's not just a big gospel voice, he's also a gifted songwriter, who has penned tracks for A-list gospel act Marvin Sapp, including the hit "Thirsty."